Marsh in Mt. Nyukasa | Daily Life in Japan, Muravej Co.
We had breakfast at my parents’ second house, returned the key to Mom, and left Shimosuwa. We headed for Fujimi Panarama Resort in Fujimi, Nagano. 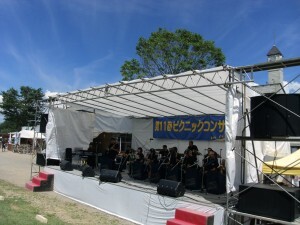 When we got there, there were outdoor jazz concerts. Last time, we took a gondola to the top of Mt. Nyukasa, while this time, we tried a free bus ride for visitors. It took 40 minutes to the apex station by bus on a very narrow road. Sort of scary. 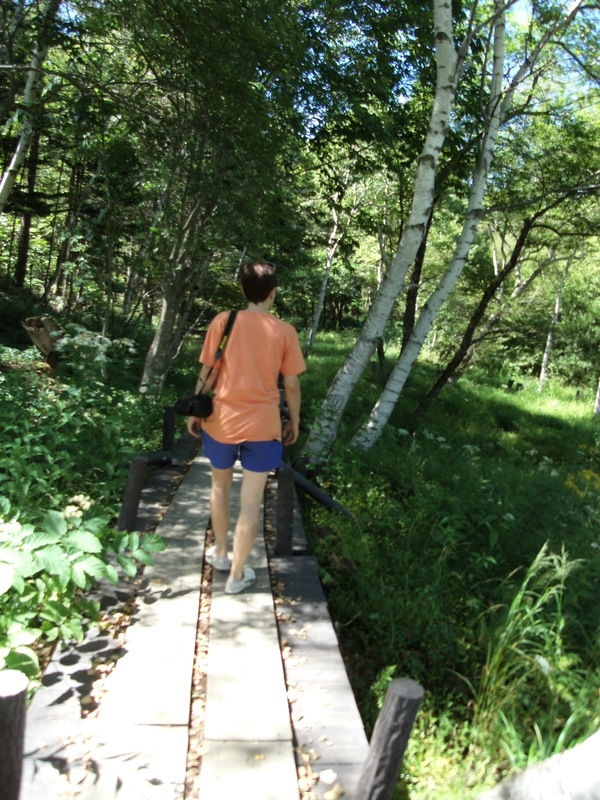 We hiked around the marsh on the mountain. There were many highland flowers. We enjoyed a very good climate. On the way back down, there were many people waiting for the bus. We had to make a line for 30 minutes till the third bus came. We had a light lunch after the ride and went back to Kofu. In Kofu, the temperature was higher than 30 degree C. This is a bad thing about this place in summer. 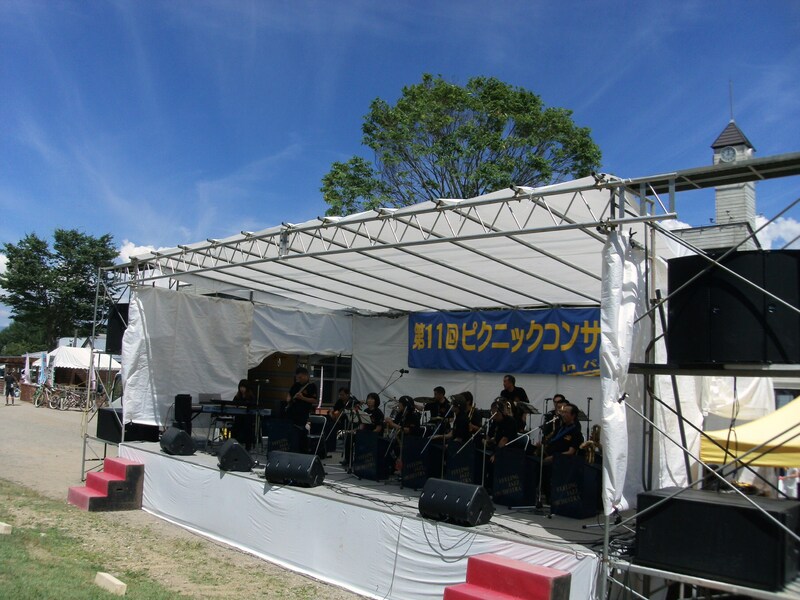 This entry was posted in Daily life, Katya, Liesure, Maya-san, Trip and tagged Fujimi, Fujimi Panarama Resort, hike, jazz concert, Kofu, marsh, mom, Mt. 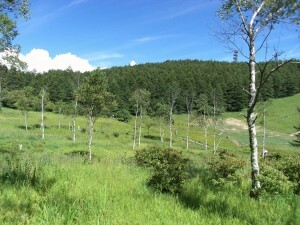 Nyukasa, Nagano, Shimosuwa. Bookmark the permalink. I like your blog, its simple and straight forward. Are you a Japanese? Thank you for visiting my blog, Peter, and for the compliment. Yes, I am a Japanese. Writing an English blog is partly for my Russian mother-in-law. I checked your site. It seems to be a very interesting and pleasant job. Gook luck to you and the students.